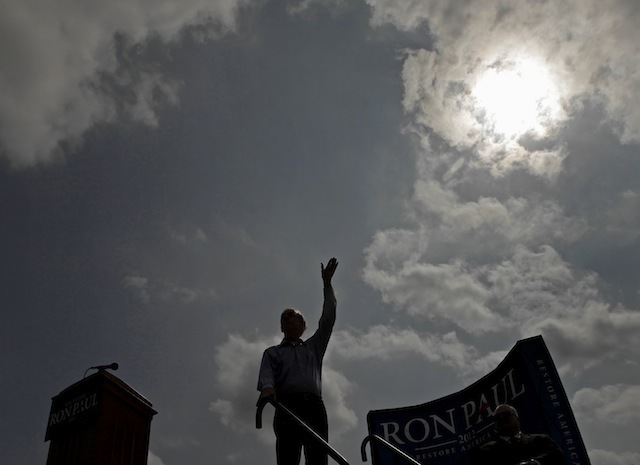 At long last, Ron Paul has his day. The House of Representatives on Wednesday overwhelmingly approved the Texas Republican's bill to increase the transparency of the Federal Reserve. With bipartisan support, the measure passed 327-98. For Paul, the path to getting his bill approved in the House has been a long, and often lonely one. He first introduced the bill to a skeptical House a decade ago. While his efforts were ignored at the time, the call to audit the Fed" has gained support from mainstream Republicans and Democrats. Paul's bill came to the floor Wednesday with 270 co-sponsors. The measure also received support from his fellow Republican presidential candidates during the primaries. Former Massachusetts Gov. Mitt Romney, the presumptive Republican presidential nominee, most recently voiced his approval for Paul's efforts last week. "Ron Paul's 'Audit The Fed' bill is a reminder of his tireless efforts to promote sound money and a more transparent Federal Reserve," Romney posted on Twitter. The bill, of course, is not without critics. Democrats say the Act could "politicize" the Federal Reserve's decisions--what Federal Reserve Chairman Ben Bernanke has called a "nightmare scenario." "This bill would ... jeopardize the Fed's independence by subjecting its decisions on interest rates and monetary policy to GAO audit," said House Minority Whip Steny Hoyer, a Democrat from Maryland. "I agree with Chairman Bernanke that congressional review of the Fed's monetary policy decisions would be a 'nightmare scenario,' especially judging by the track record of this Congress when it comes to governing effectively." While Wednesday's passage in the lower chamber is a victory for Paul and his supporters, the bill is considered dead on arrival in the Senate. Harry Reid, the Senate Majority Leader and Nevada Democrat, has vowed not to put it to a vote.